Dharma Productions’ head honcho Karan Johar is bringing over half a dozen films in 2019 and the multi-starrer Good News is one of them. The movie is toplined by Kareena Kapoor Khan, Kiara Advani, Akshay Kumar and Diljit Dosanjh. On Monday, KJo took to Twitter to announce the new release date of the film. 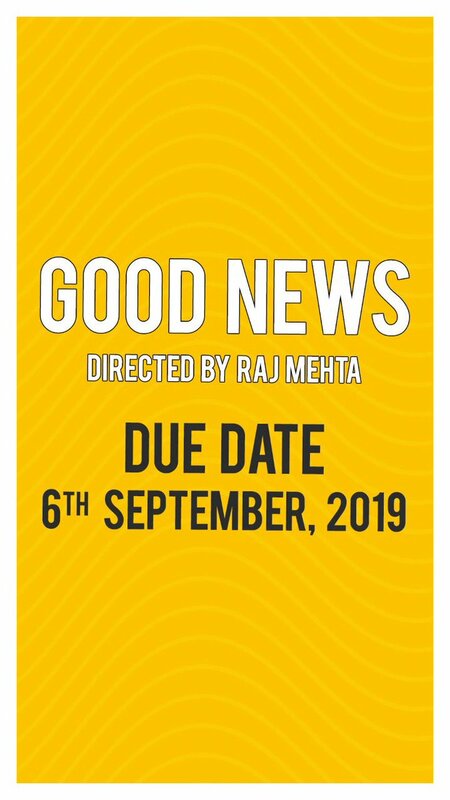 Earlier slated to roll into theatres on 19th July, 2019, Good News will now release on September 6. “GOODNEWS releases on the 6th of September, 2019!!! AKSHAY, KAREENA, DILJIT, KIARA!!! Directed by RAJ MEHTA! !” wrote the filmmaker. The film, which revolves around a Punjabi married couple trying to have a baby, is being helmed by debutant Raj Mehta. He has previously assisted Dharma Productions’ protégé Shashank Khaitan on films like Badrinath Ki Dulhania (2017) and Dhadak (2018). The team started shooting for the flick a couple of months ago with Diljit Dosanjh and Kiara Advani, while Kareena Kapoor Khan and Akshay Kumar joined everyone on January 20 in Mumbai. While Diljit and Kiara have teamed up for the first time, Kareena and Akshay are coming together after a long gap of 10 years, having been last seen in Sabbir Khan’s Kambakkht Ishq in 2009.